The Dry-type Air Core Reactors are composed of several coils which are insulated by polyester film with good insulation capability and are enclosed by epoxy resin impregnated with long glass fiber. The reactor is covered by organic silicon paint against ultraviolet radiation for excellent operating performance outdoors. Between enclosures of coils, supports made of polyester glass fiber are adopted for axial heat radiator, which results to better property of heat radiation. Ø Under the steady working voltage, voltage along height of coils arranges equally. Ø The noise level is less than 60 dB during twenty years of its service. Ø The reactor adopts small round section aluminum wires (φ1.6-φ4.5) as coil conductor, thus effectively reduce vortex losses of coils under harmonic waves. Ø The joint is welded by argon arc and there is no fastener on mechanical parts. This kind of structure leads to safer operation. Ø The structure is simple and compact. Ø The reactor can operate outdoors with convenient maintenance. The connection of reactor comprises series connection and shunt connection. Series-connected reactor usually functions as current limitation and shunt-connected one usually functions as var compensation. Ø Series Reactor. They are equipped in capacitor banks circuit and restrain surge current. During switching they combine with capacitor banks to form filter circuit so as to filter specific harmonic waves. Ø Shunt Reactors. They apply to super high voltage and long distance power transmission system. They are connected to tertiary winding of transformer. They compensate capacitive current in power lines and limit system over voltage and operating over voltage, thus lower system insulation level and guarantee reliable operation. Ø Current Limiting Reactors. They restrain short circuit and lower it to a proper level for the equipment. Ø Neutral point Earth-connected Reactors (i.e. Arc Suppression Coils). They restrain accident current from power transmission system to earth. Ø Current Blocking Reactors. They prevent harmonic waves from entering into power system so as to protect equipment from being harmed by them. Ø Filter Reactors. They are often series connected to capacitor banks circuit. They provide an LC resonant circuit of low impedance for a certain harmonic wave to filter waves. Ø Partite Reactors. They are series connected to systems to restrain accident current. They appear with low impedance at normal operation and with high one at accident. Ø Balance Reactors. They comprise balance load with inductive electric furnace and capacitor in three-phrase power. Ø Start-up Reactors. They apply to start-up at low voltage for large AC motor. Ø Smoothing Reactors. 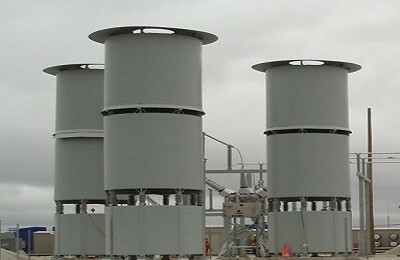 They apply to high volt-age DC power transmission (HVDC) system and large power DC electric gearing. They lower impulsive current component in DC circuit to keep DC current smooth. Ø Altitude above sea level: 1000meters. Ø Site situation should have no harmful gas or vapor or electric and explosive dust.